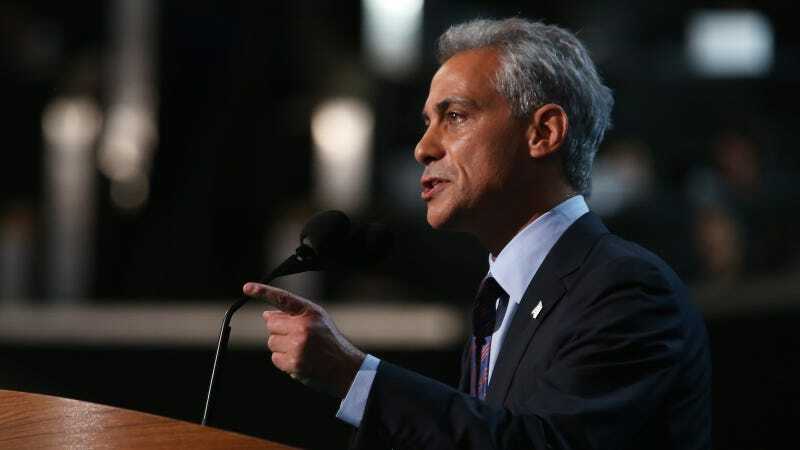 Mayor Rahm Emanuel has made Chicago Public Schools the first big-city system to require a job, a college acceptance letter, gap-year program enrollment or enlistment in the military as a condition of graduating from high school. Aside from the obvious issues with the school system potentially withholding a diploma even if a student earned it, detractors say Chicago doesn’t have the resources to pull it off, mostly because of the mayor. The Washington Post spoke with school administrators about the plan, which was approved by the Board of Education in late May, and will be begin to affect incoming sophomores planning to graduate in 2020. Graduation rates have improved in Chicago since 2012, with nearly 74 percent of students finishing high school in four years, but they are still below the national average of 83%. Last year, the district laid off 1,000 teachers and staff members. In 2015, the Chicago Tribune reported that the financial issues faced by CPS were largely the fault of Emanuel, who delayed making payments to teacher pensions or searching for new revenue streams, and dropped fiscal responsibility measures implemented in the mid-’90s, when the state gave Chicago’s mayor control over the district following emergency state management. The Tribune notes Emanuel was just one in a line of mayors who failed the needs of CPS, but his decisions have put the district in a difficult position to implement this new requirement. The City Colleges system has continued to struggle with “softened” enrollment numbers, as the system also looks at burning cash reserves and making cuts because of the state’s protracted budget impasse. At the same time, the system has said it has seen larger numbers of incoming students “without the required academic preparation,” which has led to higher demand for remedial courses and support services. Smaller magnet schools have had some success with programs designed to get kids thinking about potential careers and college, like Crane Medical Preparatory High School, which directs students towards the health-care industry. They provide connections to internships, college visits, and walk students and their parents through college application and financial aid processes. But not all students want or are able to go to college or immediately set off on a career, and high-risk populations may have be facing issues outside the control of school administrators. Holding back a diploma they’ve earned based on factors outside of CPS’s purview is a further obstacle to a student’s success.